In my last update letter, I told you about a new facility that we were planning to build immediately adjacent to the Lingap Center. In the letter, I referred to the proposed facility as 'the Annex Building' but since it is dedicated to furthering the education of the older children, we have officially named it the "Lingap Learning Center." You may also recall that we needed this facility to house our independent living students (those students age 18 or older, who are still in high school, college or are pursuing a vocational program). According to Philippine law, these students are considered to be adults and cannot live with the younger Lingap wards regardless of their level in school. So, in the past, they had to leave the Lingap Center, leaving them with little or no supervision or guidance at a very formative time in their lives. Additionally, it often meant the end of their education. This is a transition age, when in addition to formal education, they need to learn such things as money management skills, how to live on their own and once they graduate, how to successfully integrate back into the community as fully contributing citizens with well-rounded and robust values. It is our hope that the new Lingap Learning Center will help us to fill this existing void. It is 3229 sq. feet and it includes four residential rooms (somewhat like dormitory rooms) which can accommodate four bunk beds for up to 8 students per room. Additionally, it includes a much-needed storage facility for us as well as a beautifully designed maintenance shop (something we desperately needed but never had). The new library is 672 sq. feet with large windows on three sides. The new computer lab is 196 sq. feet and we anticipate eventually putting in up to 12 computer stations and a printer to assist all of the kids with their school work and research assignments. The larger library also provides much needed-space for our choir and string ensemble to practice. They are becoming well known in the community and are often called on to perform at churches, funerals, fiestas and other occasions. They clearly needed more space. The independent living and local college kids actually began moving in on Friday, January 4 and they could not be happier. However, it is going to be quite a transition for both the older students as well as the staff as we all learn that policies applicable to little ones don't necessarily transition over for young adults. Consequently, quite a few adjustments are now being made. Both the older wards and the younger kids have their own independent governing bodies (the Lingap Council) so we are working closely with the older council to get their input into the new policies. Frankly, while it is a challenging time for us, it is also really exciting. The Lingap project is moving to a new level! Thanks to all of you who helped us to make this much-needed transition possible. I would now like to share a progress report on one of our college students who I have mentioned to you in the past - John Ryan ('Ryan'). He came to us back in 2004, at the age of six. His mother had recently passed away and his father was not involved, so he joined us at the old Lingap Center (the converted pig slaughterhouse). He was among the original group that moved into the new Lingap Center when it was completed back in March of 2006. 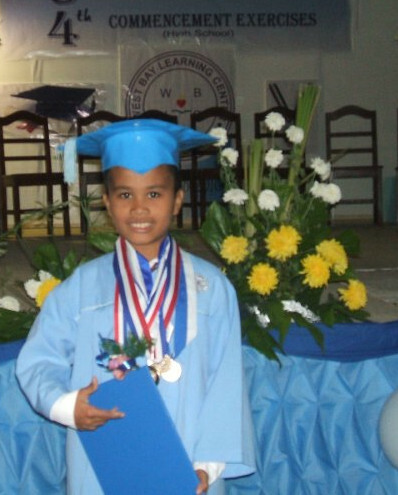 He was a constant academic achiever in school and while still in elementary school, he participated in the national science competition, placing first in his school, first in the city, first in the district, first in the region and he placed 2nd in the nation! He tested out of grade 12 at the Toledo City Science High School in 2015 so he could proceed directly to college bypassing his final year of high school. With the help of a Lingap supporter from Georgia, he applied for and received a scholarship at the University of St. LaSalle, in Bacolod on the island of Negros (the island immediately west of Cebu). St. LaSalle is one of the single-most prestigious universities in all of Asia, and getting accepted there is a major achievement in itself! Ryan will graduate in March of this year, with a Bachelor's Degree in Nursing. Not only that, but the lowest grade he received during his four years at a school like St. LaSalle, was an 87% in Physics during his first year (for which he apologizes), but his overall average is in the high 90's! 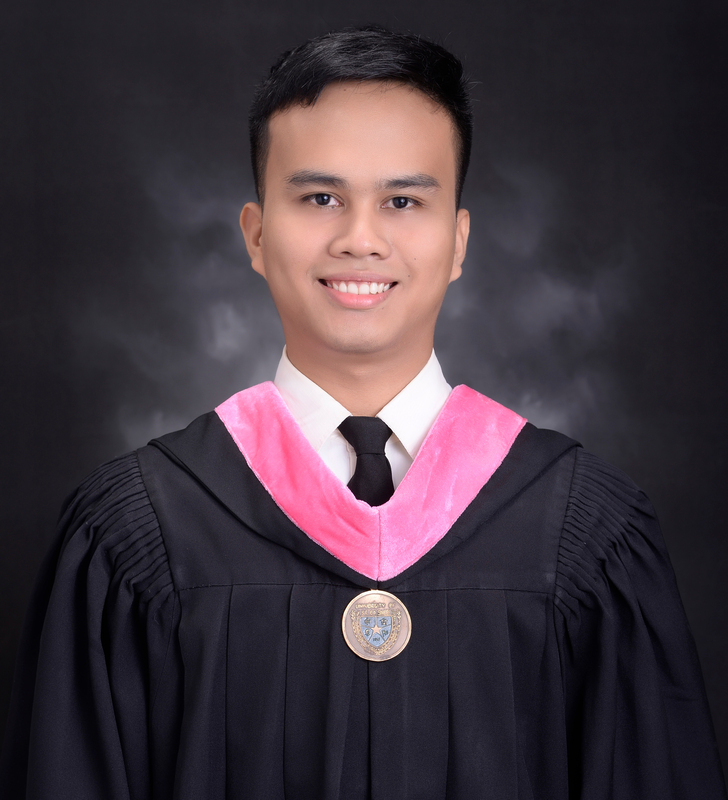 He will take his registered nursing board exam in June. He took his medical school exam in October of last year and passed it easily. He is now determining which medical school he would like to attend in the Philippines. He will have to take their entrance exam as well, but I have no worries that he will be accepted where ever he chooses to go. I often ask myself "how is the Lingap story possible? How can it even be true? How is it that we have had approximately 500 children who have gone through the Lingap Center and currently have 24 college or vocational graduates with four more coming in March???" The answer is very clear and very easy. It is a miracle that was made possible only because of you. "A thousand candles can be lighted from the flame of but one. Thank you all so much for being one of those candles. Together, we have helped to change the world of hundreds of Lingap kids just like John Ryan and hopefully, we will continue to have many, many more stories like his to come.